Team greets Kylie Rome at home plate following second inning home run. 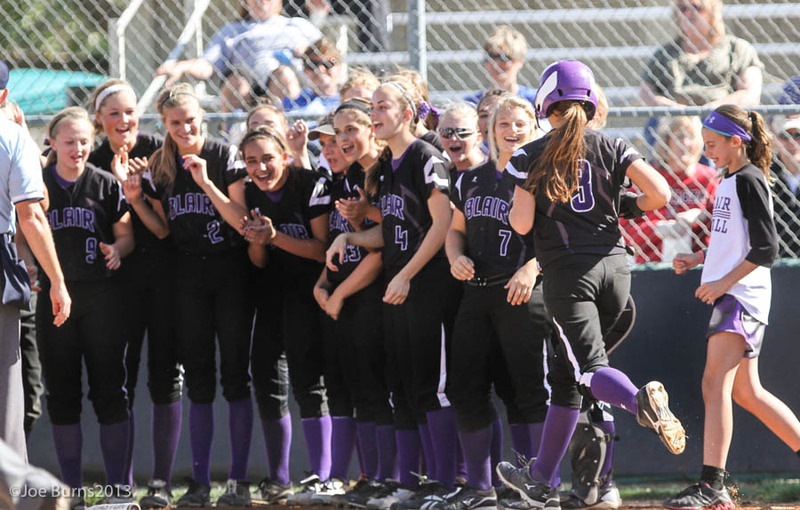 Blair girls softball team greets Kylie Rome at home plate following her second inning home run. District champion Blair will play in the state tournament in Hastings later this week. Kiley Gosker makes the play at first base.